The Waffen SS Foreign Volunteers T-shirt is a single sided print in a smoke color. 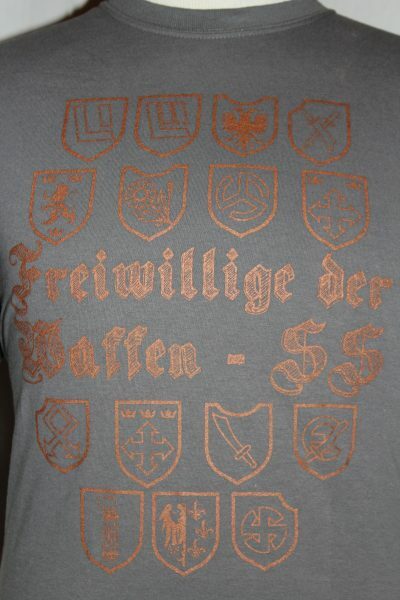 Many European soldiers from various countries volunteered for service with the Waffen SS. 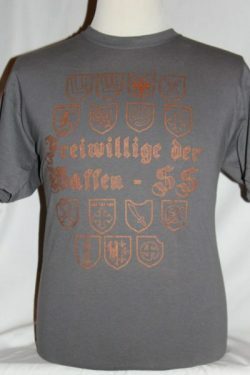 This shirt commemorates those volunteers, their divisions, and their insignias. Screened in bronze.